On this last day of Pain Awareness Month, I wanted to end with some final thoughts. Pain may not be our choice, but how we deal with the pain in our life and how we respond to our pain is our choice. Attitude matters. I am not my pain. I choose not to let it define me. Last semester when my daughter was having a rough time, I started texting her on Monday mornings a little motivational quote or picture, just to start her Monday off on the right foot. So in that vein, here’s a little Monday motivation for the week, for those going back to school, starting a new job or project, or those facing some other challenge. Never, ever give up on those dreams. I hope you find whatever you are looking for at the end of your rainbow! So put those fears aside and go with your gut instinct. Sometimes we all need a little kick in the pants to recognize what we already know to be true. Believe in yourself and you can be living the life of your dreams. I often use the hashtag #lovewhatyoudo because I believe that if you enjoy your work, it doesn’t feel like work. Everyone should find something that makes them happy; something they are passionate about; something they are good at. And then do more of that. I came across this quote and decided to look up the author, as I had never heard of him. Frank Tyger was an editorial cartoonist, a humor columnist, and an artist. He has many wonderful quotes attributed to him. On Mondays he would write a column that always ended with, “May today be the start of a wonderful week for you.” Such positivism that we don’t always see these days. It’s this kind of everyday inspiration that I look for in life. Achieving balance in your life takes a concerted effort. It won’t just magically appear. Make some time today to experience some silence and quiet time, recognize joy and happiness in your life, just breathe, and create some balance. Let us be grateful to the people who make us happy. I reached a milestone today, so I wanted to say Thank You! It probably doesn’t seem like much to many of you, but this little blog of mine has very much been a grassroots effort to me. 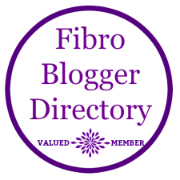 Author PhotobaughPosted on June 10, 2018 December 3, 2018 Format AsideCategories BloggingTags Blogging, blogging101, bloggingfundamentals, fibroblogger, goals, Grateful, Gratitude, milestone, Personal Experience5 Comments on 200 Followers! Thank You!